NLB wet abrasive blasting systems combine the force of a high-pressure water jet with the cleaning action of abrasive media while avoiding the dust, costs and hazards (health and environmental) associated with dry sand blasting. 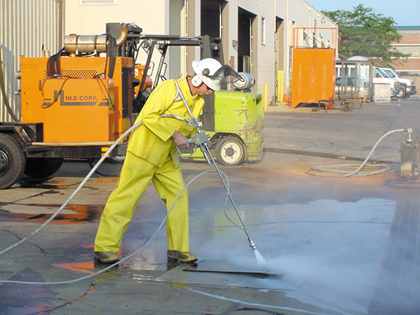 Wet abrasive blasting can clean steel to a white metal finish or remove tightly bonded paint from concrete, steel or masonry. 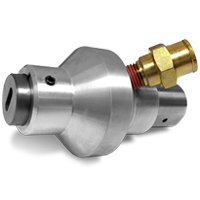 We offer a variety of 10,000 psi and 20,000 psi abrasive nozzles (700 or 1,400 bar) with different flows, and Profiler nozzles that work at pressures as high as 40,000 psi (2,800 bar). Rugged hopper comes in two sizes and includes a metering kit to adjust the feed rate.